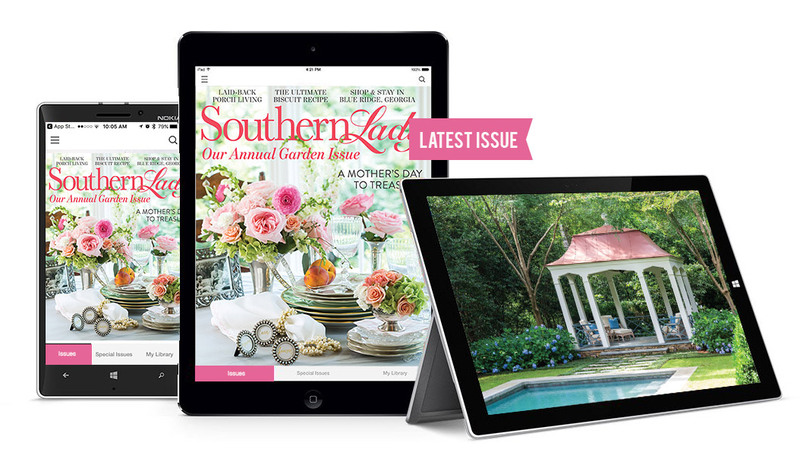 As summer settles in across the South, our new issue showcases the region’s beauty in full bloom all around. This annual garden issue celebrates the splendor of outdoor living—from inspiration for your own garden and striking floral arrangements that bring the outdoors in to alfresco table settings and porch décor ideas. Journey with us to historic escapes around Mississippi, and spend a weekend away in Blue Ridge, Georgia—a tranquil resort town that delivers the perfect balance of relaxation and entertainment. You won’t want to miss menus that include a traditional Mother’s Day meal and an elegant open-air soirée with fresh fare, as well as seasonal recipes aplenty—from summer seafood to sweet berries. Enjoy all the glories this vibrant season has to offer! Our first-ever Home & Garden Favorites special issue celebrates the lovely touches that make our region so distinctive, from handed-down china and silver patterns to vases and vessels brimming with blossoms like azaleas, roses, magnolias, and more.